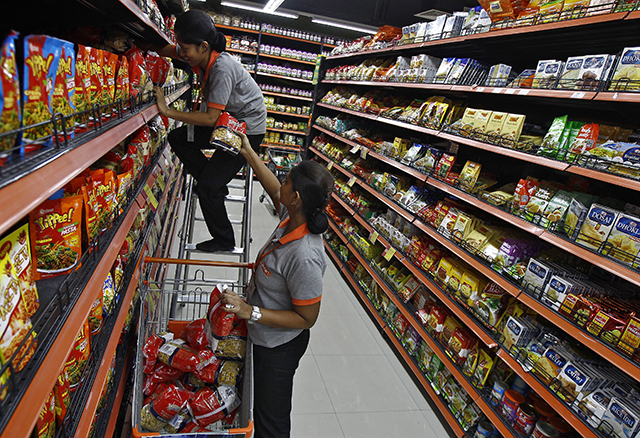 India’s retail inflation rate accelerated to a five-month high of 5.0 percent in June, government data showed on Thursday, driven by higher fuel prices and a depreciating rupee. Analysts polled by Reuters had forecast June’s annual increase in the consumer price index at 5.30 percent, compared with May’s 4.87 percent. June was the eighth straight month in which inflation was higher than the central bank’s medium-term target of 4 percent. India’s industrial output grew 3.2 percent in May from a year earlier, driven by a pick up in capital goods manufacturing, government data showed on Thursday. Economists surveyed by Reuters had forecast 5.2 percent growth in output compared with a 4.9 percent year-over-year increase in April. Manufacturing, which contributes 78 percent of industrial output, grew 2.8 percent in May, slower than a 5.2 percent rise in April, as domestic demand slowed.